De facto deputy prime minister David Lidington did not deny the claim, saying it was right that the civil contingency secretariat plays an “active part in contingency planning for all eventualities”. Ms McMorrin, MP for Cardiff North, asked the Cabinet Office minister during departmental questions in the Commons. 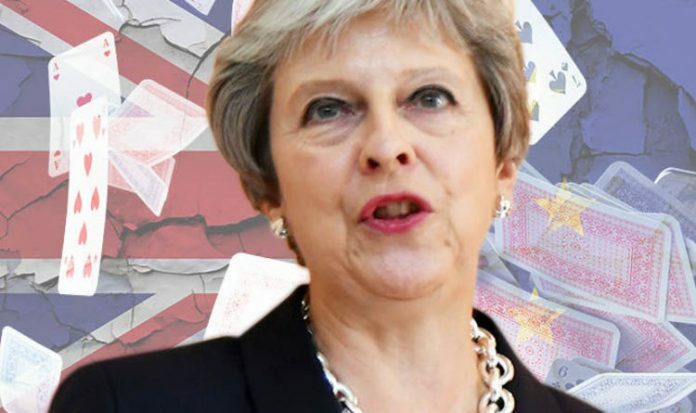 She said: “We know the Cabinet Office is preparing for the very real threat that is no deal, with secret Cobra meetings and civil contingency planning. Mr Lidington replied: “There was a people’s vote in 2016 which at the time both her party and mine said was going to be the decisive moment. The Labour MP’s claim comes as Theresa May warned if Britain does not reach an agreement with the EU the “position changes” on its agreement to pay a financial settlement to the bloc. She told the Commons: “We are a country which honours our obligations, we believe in the rule of law and therefore we believe in abiding by our legal obligations. Downing Street has insisted the Prime Minister’s Brexit proposals are the only “credible and negotiable” ones amid speculation of a Tory rebellion. Tory rebels from the European Research Group presented alternative plans for the border in Northern Ireland today.